I have to make a concerted effort to teach my girls about different cultures. Their ancestors have been in America for generations, and they have no living relatives who were even born outside of the state where we live! While they have friends who share different cultures with them, they don't learn it through their family. So this year, even though we are not Italian, I decided to spend a day teaching Lena and Maggie a little bit about Christmas in Italy. We started by finding Italy on our world map. I pointed out the country, and then showed them where we live and how we would have to travel to get there. I also introduced them to other geographical terms related to the area-- the Mediterranean Sea, the Alps, and the capital city, Rome. Next we read a couple of story books that featured Italian Christmas traditions. While they may not be the most sophisiticated source of information, the Strega Nona books do a nice job of introducing some basic Italian culture. There are also Italian words and phrases sprinkled throughout that we practiced saying. Merry Christmas, Strega Nona is about a Christmas feast. Strega Nona's Gift does a great job teaching kids about the MANY different Christmas season special days that many Italians celebrate. It was more informative than Merry Christmas, Strega Nona but the story was not quite as compelling. Then it was time to get down to business and make our panettone. 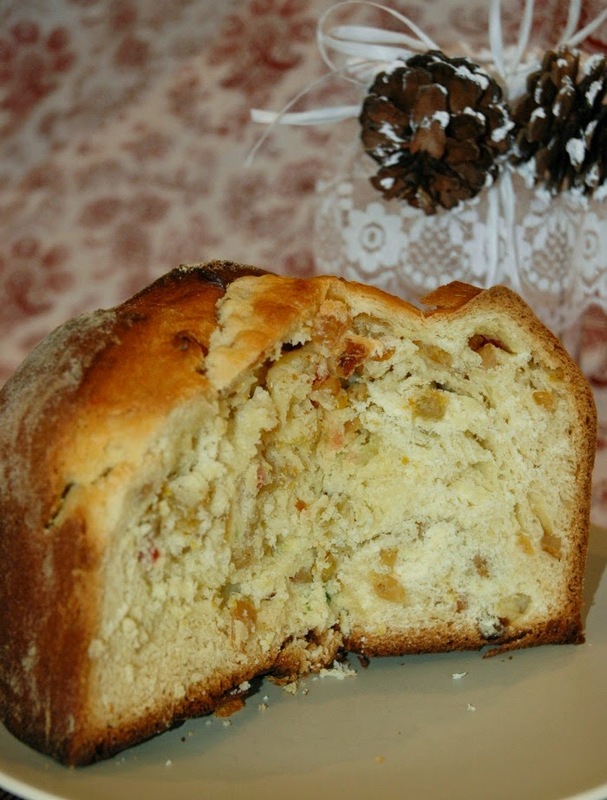 Panettone is a traditional Italian Christmas cake. They started popping up here in the United States several years ago, premade and sold in a bright red box. My family tried one and wasn't crazy about it, but I figured that a fresh one must be pretty darn good, for it to have made it to tradition status in Italy! I used this recipe from Chow.com. It's complicated, and takes some time, so plan ahead if you want to do this! I made the dough the day before baking the cake, so it was able to rise overnight and was ready for the girls to help with the fun part the next day. Lena and Maggie were able to measure flour, use the microplane, press out dough, and sprinkle the fruit bits. 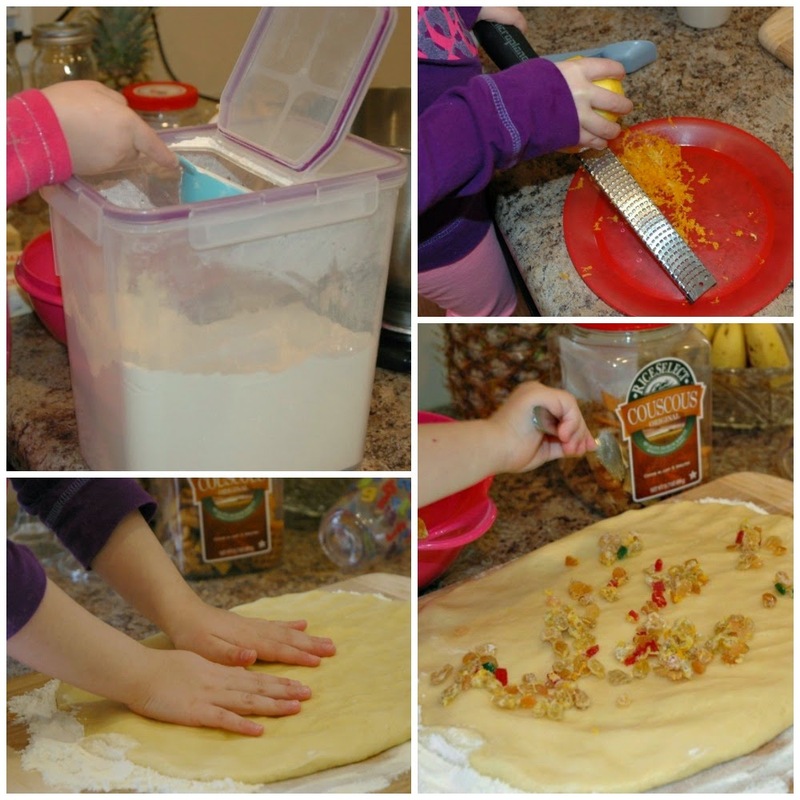 This dough was really lovely to work with, and wasn't too delicate or sticky for the kids to handle. They loved getting to help with such an elaborate and complicated baking project. 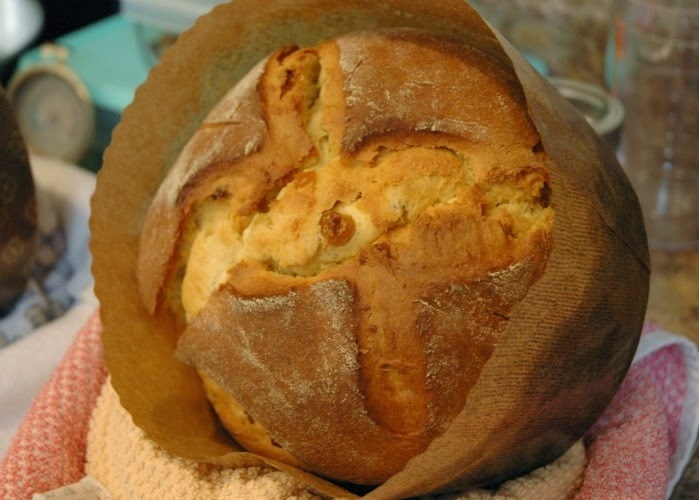 It rose nicely, baked up golden brown and crackly on top, and was delicious to eat! This post was written as part of the Multicultural Kid Blog series, Christmas in Different Lands. Dozens of great bloggers from around the world have shared their Christmas traditions, which you can see (along with other multicultural Christmas ideas) on this fantastic Pinterest board. 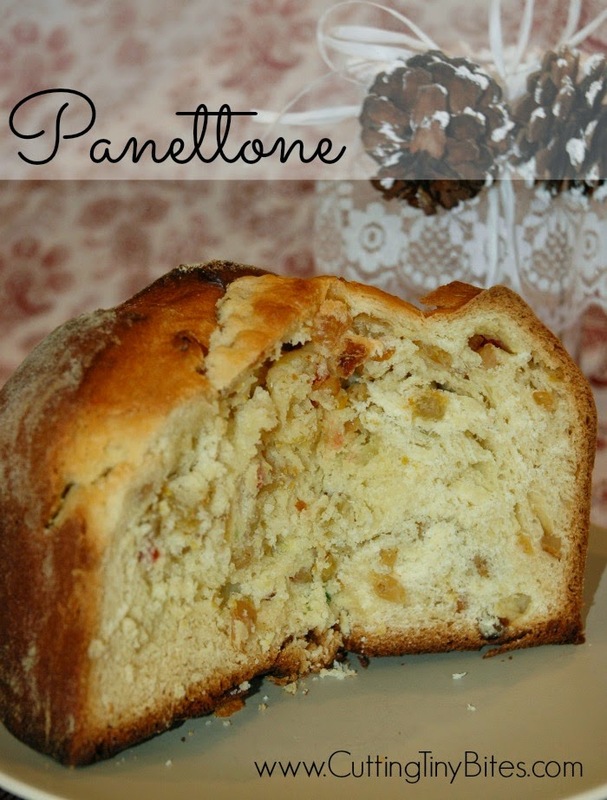 Teaching Kids About an Italian Christmas by baking a panettone together.